1 quart (32 oz.) 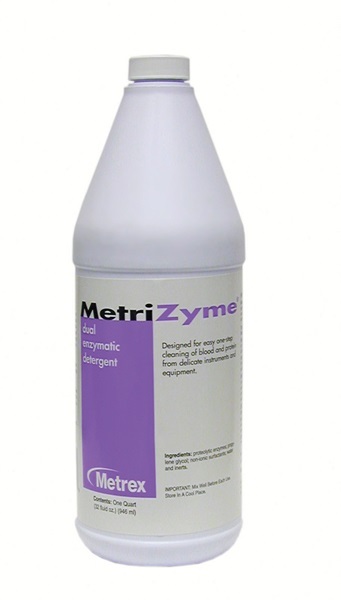 jug of an unscented extra-strength dual-enzymatic detergent that effectively cleans away blood, tissue, mucous and other protein-rich body fluids from instruments. More proteolytic enzyme activity than the competition. 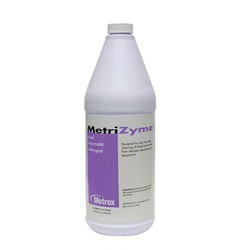 Contains two proteolytic enzymes for effective cleaning. Works fast to remove blood and other proteinaceous debris from instruments. Low-foaming and less corrosive than distilled water. Manufactured by Metrex.